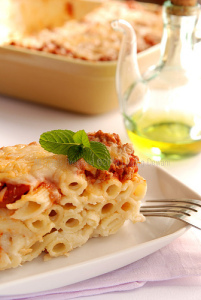 Easy delicious dinner recipes is perfect for those of you who have not much time to cook. 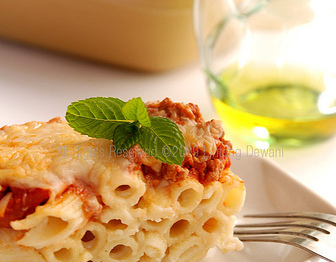 When you see macaroni, cheese, butter and flour in your inventory box, you can conjure into one dish dinner easy. 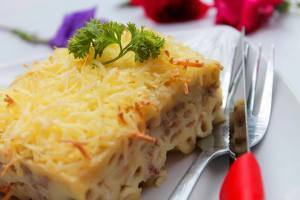 Easy delicious dinner recipes that match the material – material was macaroni schotel is not difficult to make. Heat the butter and sauté onions. Enter the flour and stir until blended. Insert the liquid milk little by little while stirring. 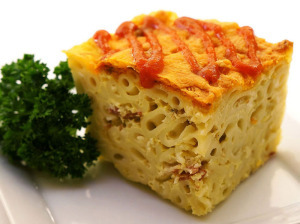 Enter the macaroni and meat that has been cut – cut. Stir until blended. Lift the dough, put grated cheese, salt, pepper, and eggs. Stir until blended. Pour the batter in a place that will be used for baking. Enter the microwave, cook for 20 minutes at a temperature of 170 degrees Celsius. Wait until cooked, and then sprinkle with grated cheese. Easy delicious dinner recipes is perfect for those who want a delicious meal in a limited time.